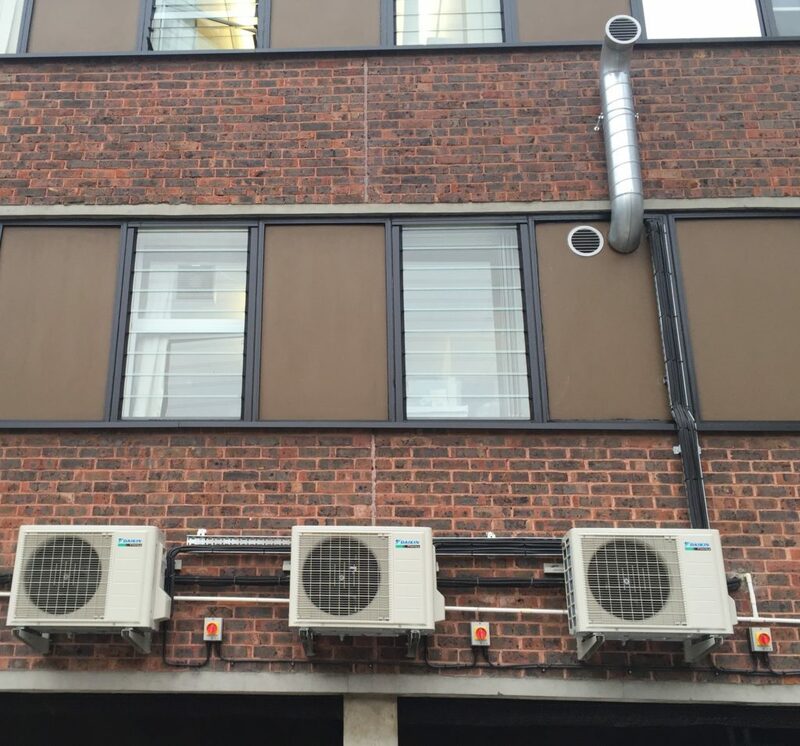 CoolZone Air Conditioning were asked to install comfort cooling and ventilation systems to serve parts of the newly refurbished Central Uxbridge Surgery (NHS) London. Due to the age and design of the building along with the very limited space within ceiling voids it was extremely challenging to select and install suitable equipment. Several existing air conditioning systems at Central Uxbridge Surgery (NHS) London were given a complete overhaul and detailed maintenance service so that they could be used once again in an efficient manner before a range of new energy efficient Daikin single split wall mounted systems and heat recovery ventilation units were installed. Each using the best possible service routes to ensure all such pipe work, cables and drain work remained out of site as far as possible. Careful thought was given to the positioning and arrangement of ventilation units so that ductwork could be run within very limited space to the most suitable and efficient positions for supply and exhaust grilles. At the same time given the sensitive nature of the patients it was important to consider the internal noise levels that would reach each consulting room. All the Daikin equipment was fitted with hard wired controllers which featured individual weekly run timers. These allowed each system to achieve different heating and cooling settings throughout the year. 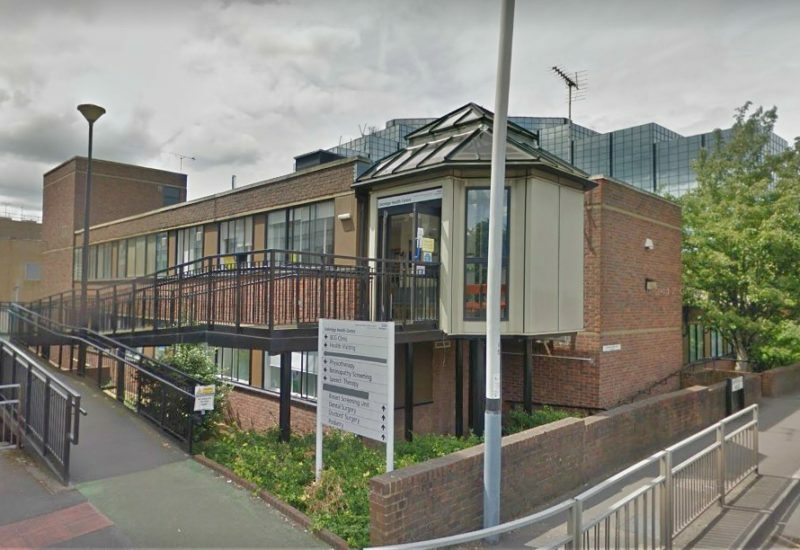 Due to the high number of patients that visited the Central Uxbridge Surgery (NHS) London it was impossible for the site to shut down for any period and the project had to be broken down into three separate phases to allow the centre to carry on running its daily clinics. Each phase was carefully planned and managed with all works contained to one area of the building so that there was little to no disruption to staff or patients in the other areas. Due to the sensitive nature of the patient consultations and treatments that were being carried out throughout the day CoolZone had to abide by strict regulations regarding the use of drills and tools that created high levels of noise. To assist with these restrictions engineers were rotated on night shifts which allowed them to carry out the major building works swiftly without any of the disruption that would be caused during the day. Any time when works needed to be carried out in an active staff area it was important to make sure that staff members were notified in advance with a schedule detailing the works being carried out and that suitable signage and safety measures were in place to protect the engineers and those around them. Immediately after any such works had been completed it would be cleaned and cleared meticulously to ensure no tools or materials had been left behind which could compromise the safety of any staff member or patient. Any materials, tools or air conditioning related equipment that was not in use but required on site had to be transported the lower level car park and securely locked in designated storage containers at all times. By remaining on target with each phase of works schedule CoolZone completed the works at Central Uxbridge Surgery (NHS) London on time with little to no disruption to staff and patients.